There is a legendary area south of Darwin known as the “Never Never” which is now lost in the ever changing mists of time. 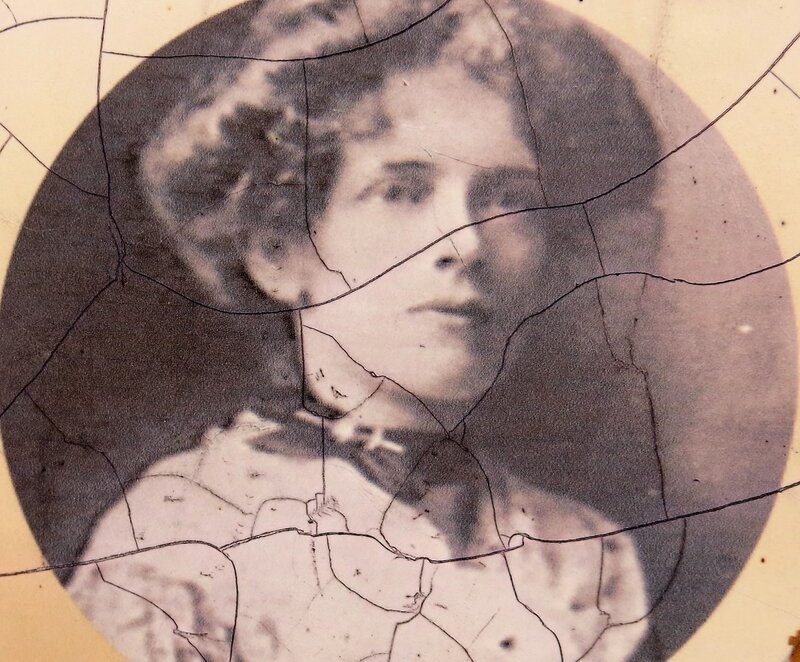 In the early 1900s a lady wrote a book about life in this part of the Northern Territory and it went on to sell more than one million copies worldwide. Such was the power of Jeannie Gunn’s “We of the Never Never” that it became standard reading for every young Australian. It was made into a movie in 1982 starring Angela Punch McGregor. The Never Never was that region south of Katherine that contained just a handful of people and no white women. It is still possible to walk in the footsteps of Ms Gunn, who lived to the ripe old age of 91 and became a champion of struggling returned servicemen from the Great War. She was no ordinary lady: she matriculated from Melbourne University and became a teacher before marrying Aeneas Gunn. Aeneas, boss of the 5000 square kilometer Elsey Station was known as The Maluka by the Aboriginals who worked for him as stockmen and servants. The book is famous for its characterizations and its depiction of life in what was essentially a wilderness area. Characters such as the Dandy, the Fizzer, the Quiet Stockman and Cheon the Chinese cook all leapt from the pages and were based on real people. The book later became controversial because of the depiction and treatment of Aboriginals. 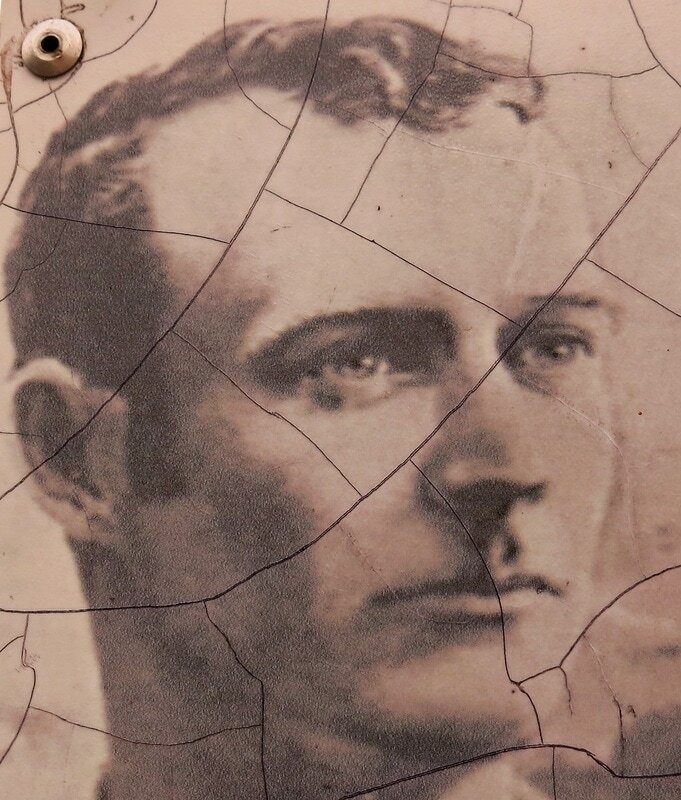 Recently I went to the Never Never in search of remnants from the book and the extraordinary life of the only white women south of Katherine in 1900. 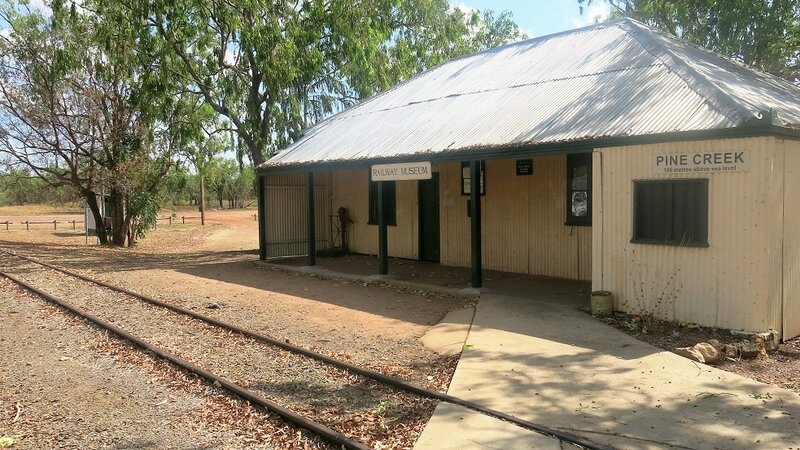 In the book, Ms Gunn describes the journey between Darwin and Pine Creek by train. The station where she was confronted by chauvinistic bushmen trying to talk her out of continuing her epic trip is still there and is now on the National Trust register. From Pine Creek, she headed south on horseback to “the Katherine” which was tiny settlement of just four people. She eventually made it to the front gate of the station which was 70km from the homestead. Today, the Elsey station still exists, in part. It is owned and managed by the Northern Land Council as a working cattle property and a tourist attraction. 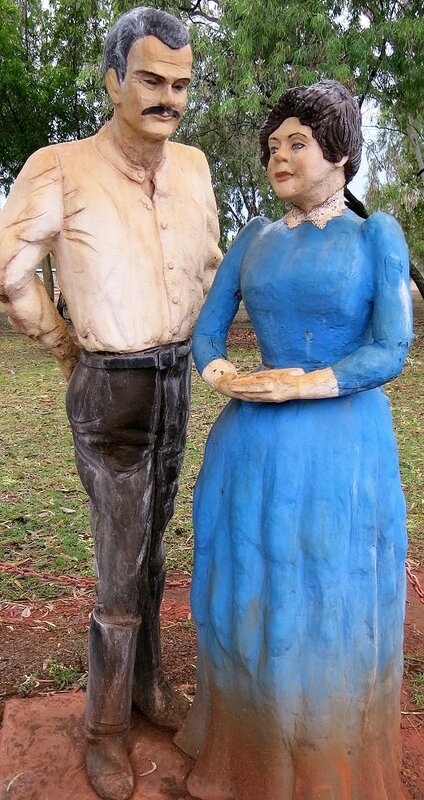 We know the region more famously as Mataranka, a town that group up alongside the Northern Australia railway. The nearby hot springs draw thousands of visitors travelling along the Stuart Hwy. In the centre of town are statues of Aeneas and Jeannie and some of the streets are named after characters from the book. 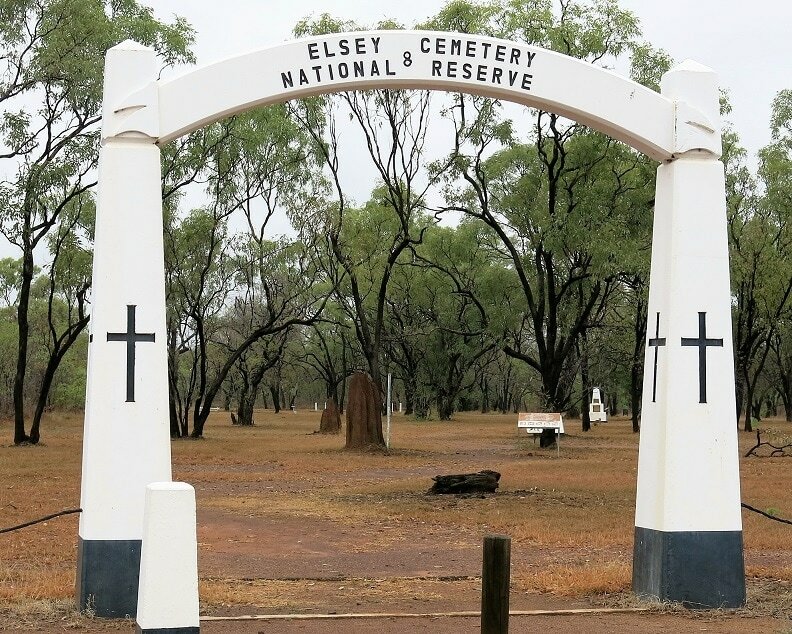 Travelling south from Mataranka there is a turnoff to Elsey Cemetery. I drove drive for several kilometers along a sealed road and eventually came to the impressive homestead burial ground. 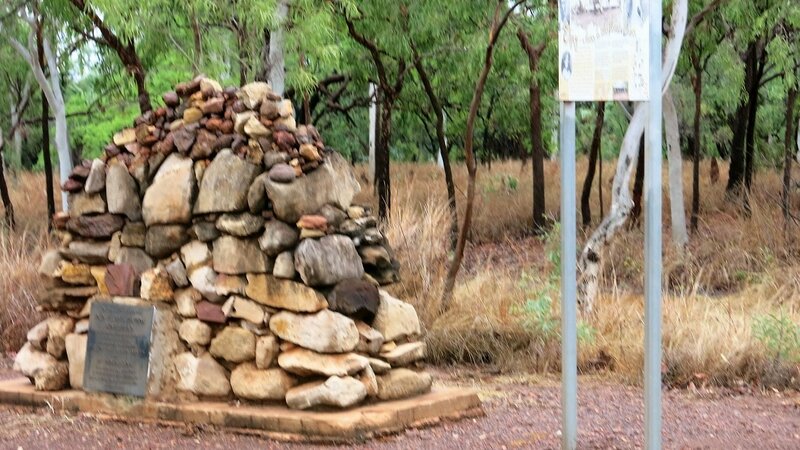 Walking around the site, it is very moving to see the headstones of characters from We of the Never Never, including the Maluka, and to realize that they never left this wild part of Australia. Aeneas Gunn died of malarial dysentery after just a year at the Elsey and the broken hearted Ms Gunn returned south to live out her life in the suburbs of Melbourne, never to return to the Never Never and never to marry again. A short drive from the cemetery is the original homestead site. A stone cairn and some old photos depict the site but there is no sign of the homestead. Built of wood, it would have been eaten out by termites many decades ago. I have to admit it was a desolate, uninspiring place. How people made a life there is beyond comprehension in these days of air conditioners and refrigerators. The old homestead comprised of several wooden shacks, a cookhouse and a storage shed. Once a year a wagon load of supplies was delivered at the homestead. Yet, people were happy in that wild, untamed place. And through the book they get to live on forever. Today, the term Never Never has lost much of its meaning. The Stuart Hwy, once just a track through the bush beside the overland telegraph is now packed with huge three trailer road trains and thousands of caravans. If you are travelling the North Country, please take the time to visit the Elsey. Standing there surrounded by giant termite mounds with only the sigh of the breeze in the stunted trees and shrubs and the water shimmering in the billabong, you will get a sense of what it was like to live in the Never Never.